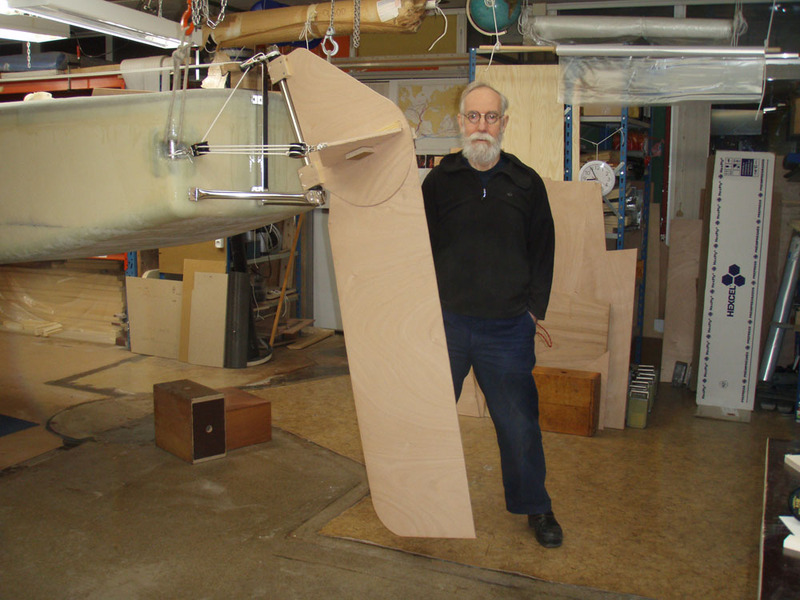 The picture below shows a second mock up of the rudder head with the rudder blade. Below is a close up of a new and better line arrangement. Yrvind has no tiller. It saves weight and gives me more space on deck. On passage I let the boat self steer with the help of feed back from the sheets. The lines from the sheets run in my case directly to the rudder. It is a simpler arrangement. An other advantage is that close to the coast it is handy not to be tied down to the tiller. With the steering lines I can walk around on the boats deck using them as remote controls. Whith the help of the steering lines I can in good weather stand on the fore deck looking at the bottom when navigating in shallow water. If I like to do that. 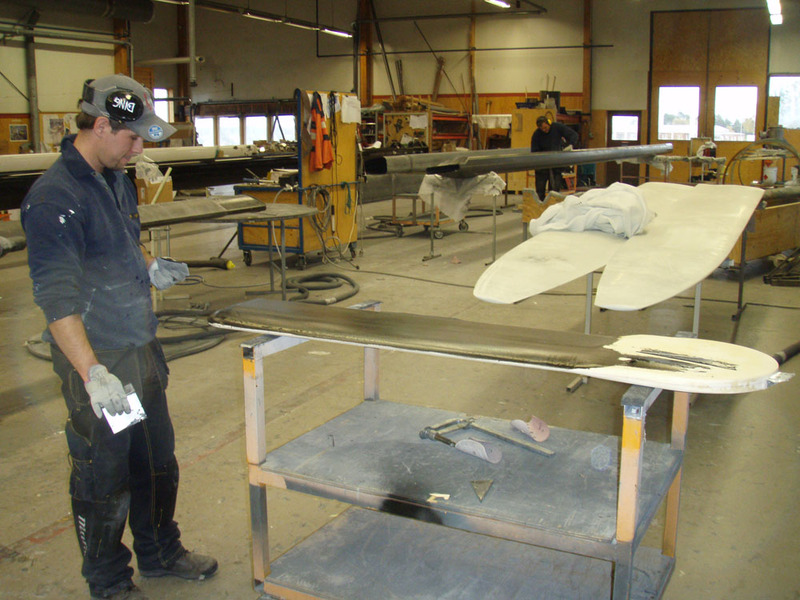 In the meantime the real rudder blade and the centerboard are being faired in Marströms mast shop. In the background two centerboard for the Volvo Ocean Race boats can be seen. More good news, Göran and Per has given go ahead with building my spars. 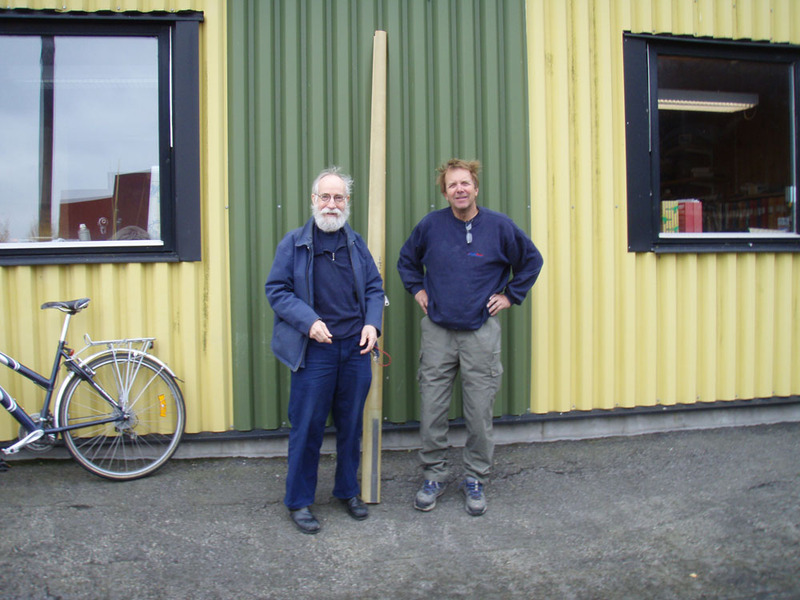 Here Göran and I are with an experimental mast for my boat. 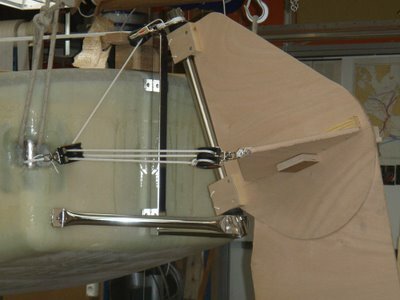 It is a 2.7 meter long piece of an Ice boat mast. They are usually made of glass fiber. I consider doing the same. The disadvantage is that it is about two to three times as heavy. The good thing with glass fiber is that the mast will be extremely flexible, like a fishing rod, which is good considering capsizes and pitch poles. Also it will allow me to place an VHF antenna inside the for the AIS sponsored by TRUE HEADING. Inside the mast the antenna is protected from weather and it gives no wind resistance. I consider it to be essential to reduce all kinds of resistance as much as possible. On a small boat powered only by wind and muscles you have very limeted resorces and have to be as efficient as possible. 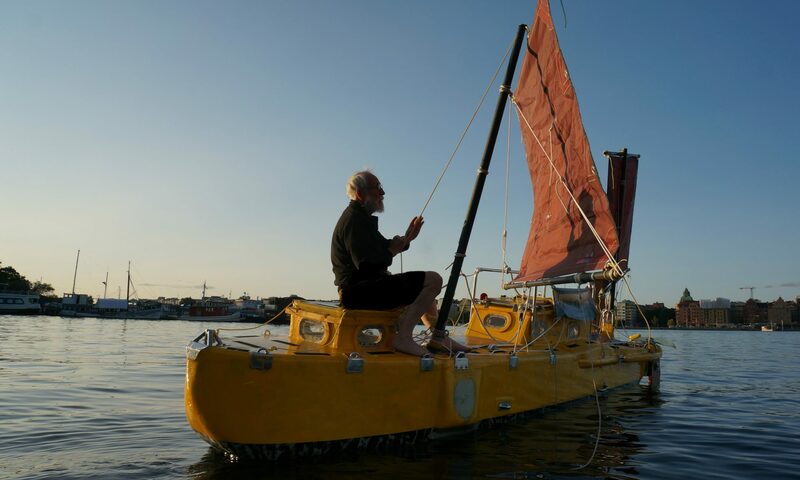 Next week 4 to 8 November I be in Stockholm giving a talk together with Thomas at ABF ( see under lectures ) Also I will be at the Stockholm boat show looking for sponsors. Therefore during that time no work will be done on the boat.